Knesset Ethics Committee forbids MK Oren Hazan from participating in Knesset, committee, meetings for six months. 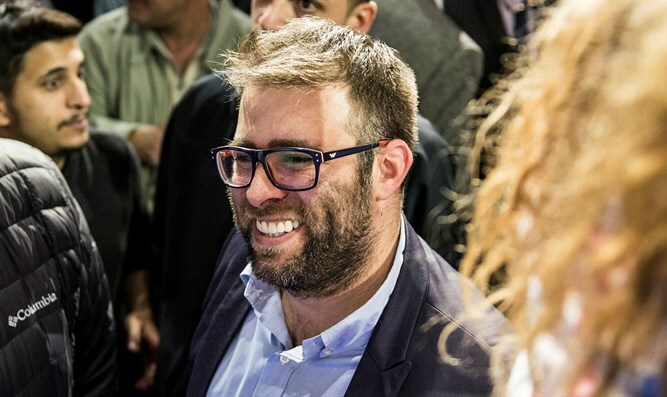 The Knesset's Ethics Committee on Wednesday decided to distance Likud MK Oren Hazan from plenum and committee deliberations for a period of six months. Hazan's salary will be docked for a week. The decision comes after five complaints were submitted against him by Knesset members from various parties. Hazan will be permitted to vote, but he will not be allowed to speak or submit bills, parliamentary questions, or motions for the agenda. The complaints against Hazan were filed after Hazan screamed at MK Jamal Zahalka (Joint Arab List) in the Knesset halls, and hinted during a Finance Committee meeting that MK Michal Biran (Zionist Union) could have been a prostitute. In addition, Hazan made chicken noises at Joint Arab List MK Ahmad Tibi and called MK Abd Al Hakeem Haj Yahya (Joint Arab List) "sewage" during a discussion on a law which would delay returning terrorists' bodies. Hazan responded, "Knesset Speaker Yuli Edelstein (Likud) gave terrorists a prize when he decided to remove the only person fighting the terrorists in the Knesset: Tibi, Zahalka, MK Hanin Zoabi (Joint Arab List), and their friends, in the hopes that the public would forget the embarrassment [he caused] by preferring his personal interests to those of the nation." "It is hilarious that Zoabi, who attacked policemen in court, and attacked soldiers on a flotilla, was suspended for six months, but I have my pay docked in addition. This alone shows that it's about personal revenge. "Even worse, the Arab MKs who ruined US Vice President Mike Pence's speech - which was what I was arguing with them about - are receiving a reward, not a punishment. The Israeli public will judge the most embarrassing, selfish, cynical Knesset Speaker since the State's founding." On Tuesday, the Ethics Committee's decision to suspend Hazan was leaked to the media. Hazan angrily responded, "The Ethics Committee members do the will of the Knesset Speaker. It surprises me that members of the Ethics Committee would leak information on this decision before I even see it." Meanwhile, the Ethics Committee removed Members of Knesset Michal Biran and Stav Shafir (Zionist Union) for a week from plenum and committee deliberations for epithets directed at Hazan during a Knesset Finance Committee discussion in November. The exclusion does not apply to votes.